The look of adidas HARDEN VOL.3 is quite simply. The simple design, the lower upper and the e midsole make the shoes attract more attention. 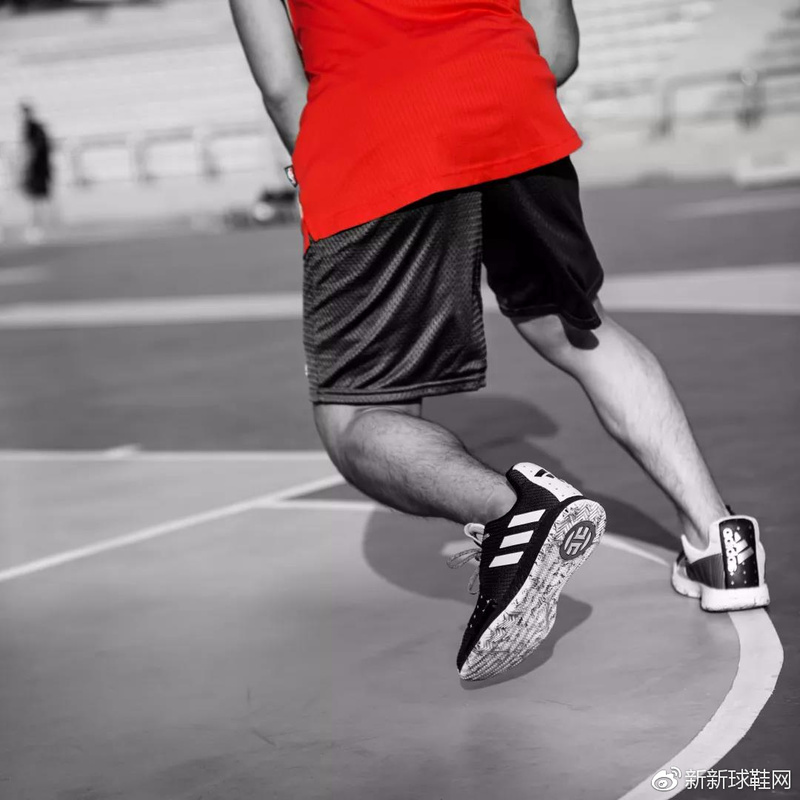 But whether you like it or not, HARDEN VOL.3 is a pair of shoes that need to meet Harden’s season, so performance is the key to judging of this shoe. 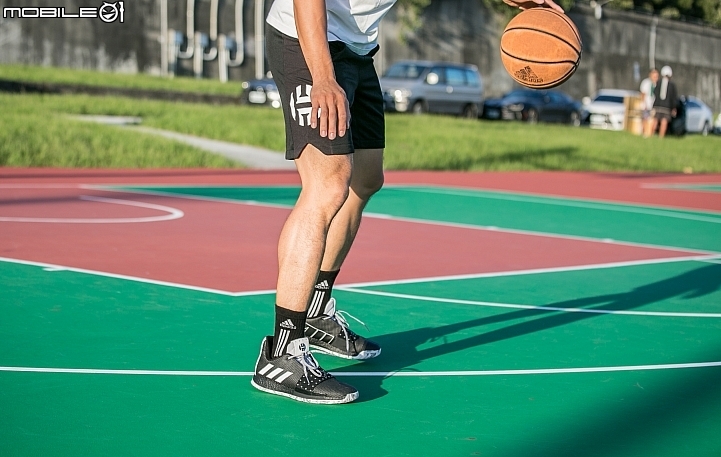 As the design of Harden vol .3 signature boots, the overall design is quite different from the previous generation, but the vol .3 followed some elements of the first version of Harden, flexible and agile. For friends who love Adidas , the adidas Harden Vol.3 released definitely a great news for them . Harden Vol. 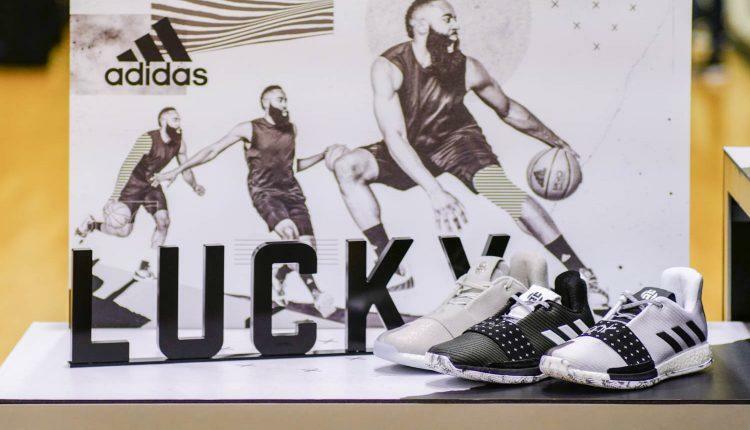 3 provide an official look of three colorways coming to Harden’s latest signature model. Included is black and red, along with white and black based models. The material of shoe was made of synthetic fabric, with a strap around the instep, and the thumb of the toe is protected by a thick heat welded fuse material. 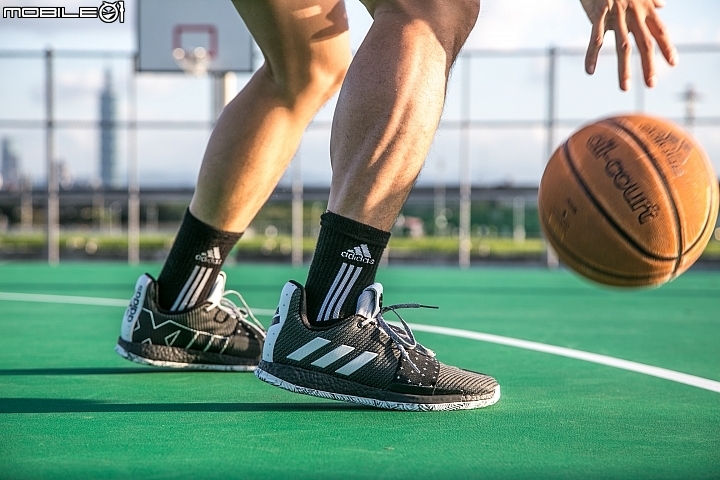 In terms of technology,full-length Boost cushioning for added energy return and comfort.Compared to the previous two generations of signature boots, the overall thickness of the adidas Harden Vol.3 boost has been reduced. Provides a faster start-up response while ensuring comfort. 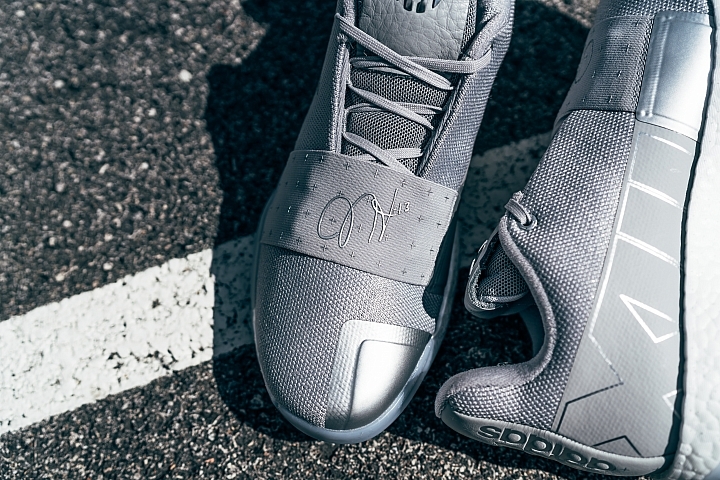 The model features a knit upper with leather details on the tongue and heel, and the roman numeral ‘XIII’ on the medial side representing Harden’s jersey number. 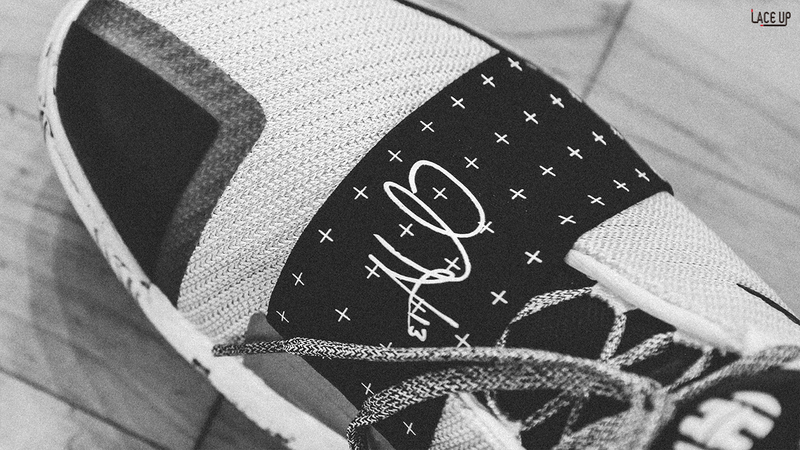 The upper surface of adidas HARDEN VOL.3 is made of a large area of fabric, which makes me worry about the wrapping and support of the shoes before going up. The low-cut design makes HARDEN VOL.3 is easy to put on and take off. After the foot, the fabric upper is almost without running-in, so you can give your feet a good comfort.When you try on your feet for the first time, you can intuitively experience the thick fit of the upper. 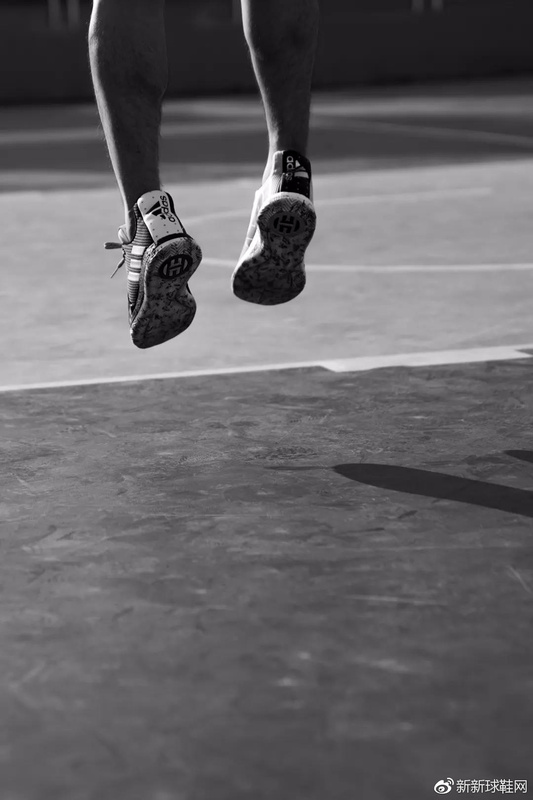 It feels like a combination of shoes and your feet in one instant. The overall weight is light and the fit is extremely high! It is worthy of praise that the lining is made of a similar towel, it is comfortable. 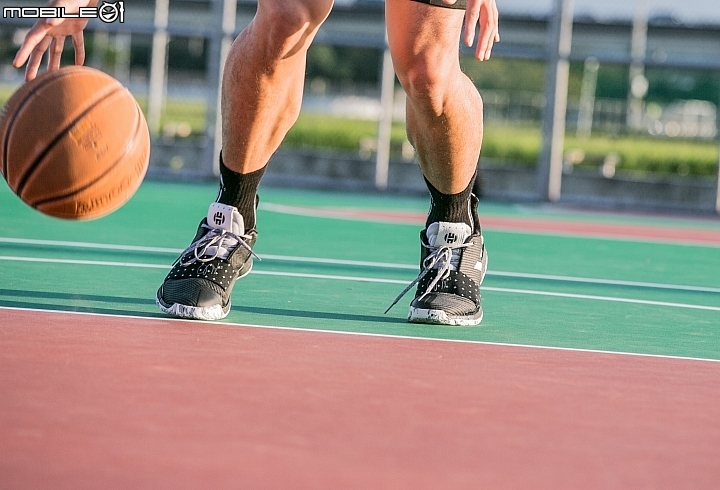 On the upper of shoe , the wide elastic straps cooperate with the TPU. On the outside of the forefoot to lock my feet firmly inside the shoe without compromising comfort. The wrapping of the forefoot surprised me, and the clever design of the heel was a highlight design .The designer uses a frictional lining material in the heel position of HARDEN VOL.3, which perfectly solves the shortcomings of low-top shoes. 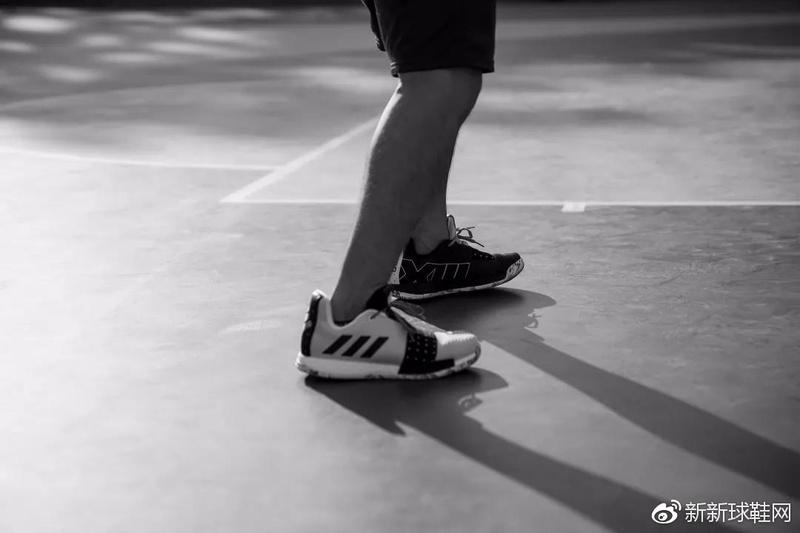 In terms of cushioning, due to the use of the full length boost, its excellent cushioning effect naturally needless to say, but due to the decrease in the thickness of the boost mentioned above, when the foot is up, the midsole feedback is less obvious, even felt that it is slightly stiff. The feedback brought by the bottom boost technology has been released very well. When the jump and landing, you can feel the soft and great feedback .and at the same time have a certain sense of sticking. 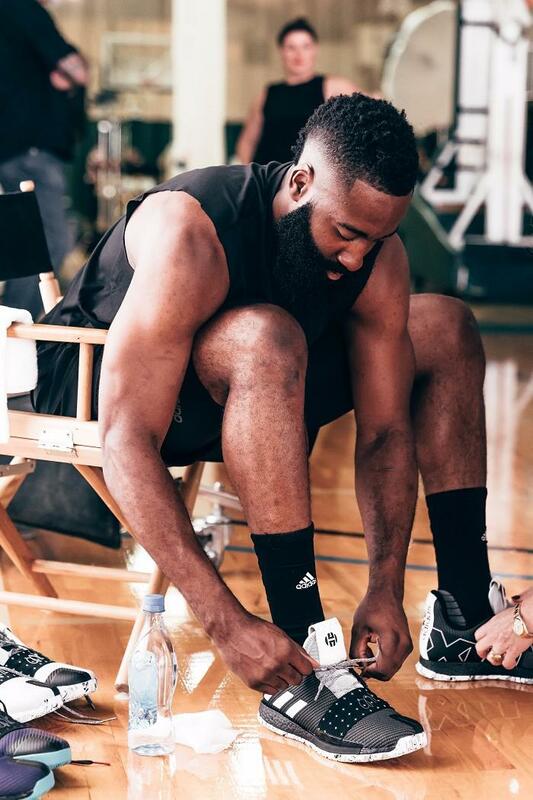 Cushioning is taken care of by a full-length Boost midsole, the same system used in Harden’s past signature shoes. The usual TPU support plate will also return in the Vol 3. The Vol 1 went with court feel and it excelled. The Vol 2 went the max cushioning route and lost some court feel, although it wasn’t terrible. 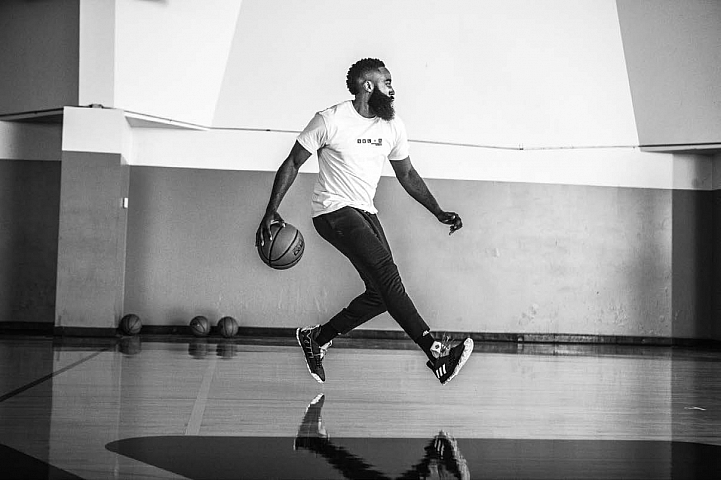 The Harden Vol 3 finds a great balance. There was no lag time at all in reactions and after coming down from jumpers I had no pain in my feet.Compared with the previous two generations of adidas Harden Vol.3, the sole pattern has changed greatly, returning to the simple and practical herringbone pattern, but this does not hinder its ability to grasp the ground. 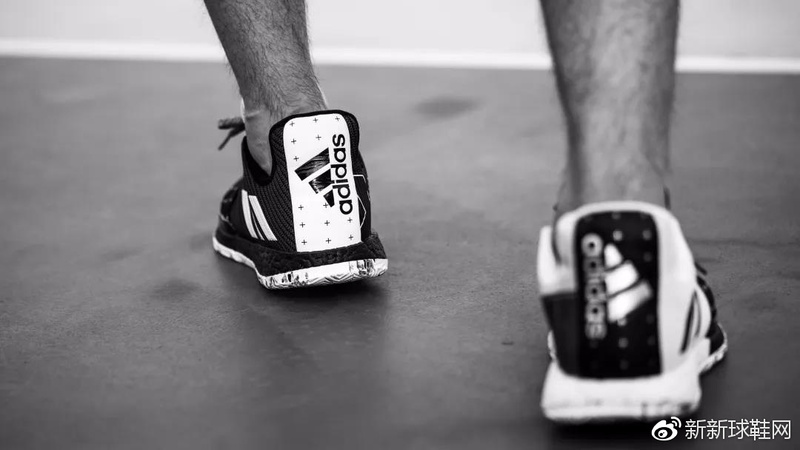 In the actual combat process, the sole has excellent grip ability, and it can bring timely response regardless of lateral movement, vertical movement and running. 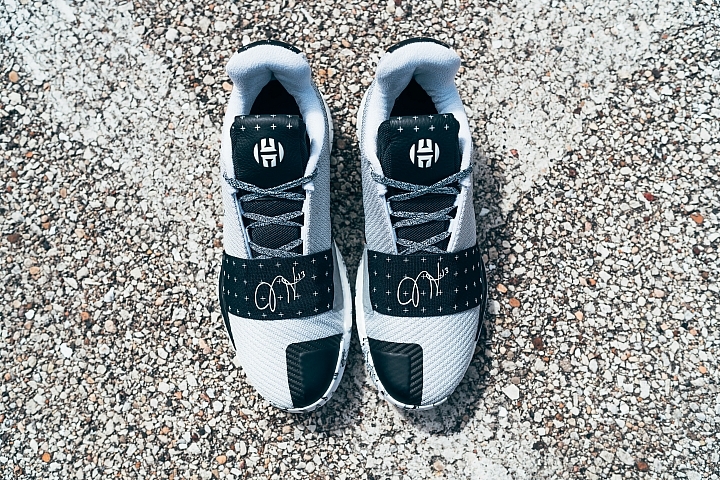 The Harden Vol 3 puts a focus on stability and traction and it is designed to help Harden “slow down fast.” For traction, the shoe features full-length herringbone with support placed at the high-wear zones that help most with traction. The outsole of the adidas HARDEN VOL.3 is very flat and full of herringbone lines. The venue we chose this time is the indoor wooden floor. 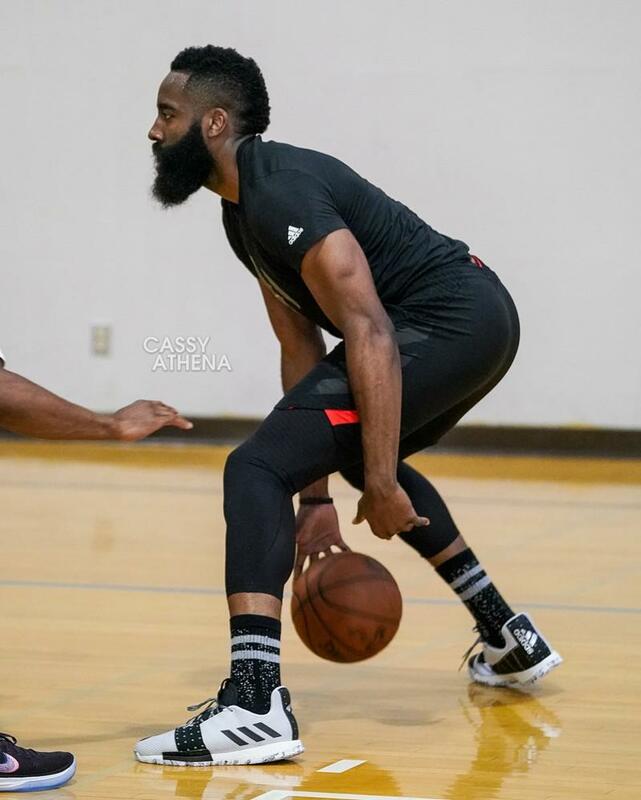 On the clean wooden floor, the grip of HARDEN VOL.3 is satisfactory, and even the sound of “beep” can be heard. The friction between the outsole and the floor is I feel more at ease. However, if it is on a slightly dusty floor, the grip of HARDEN VOL.3 will be greatly reduced. 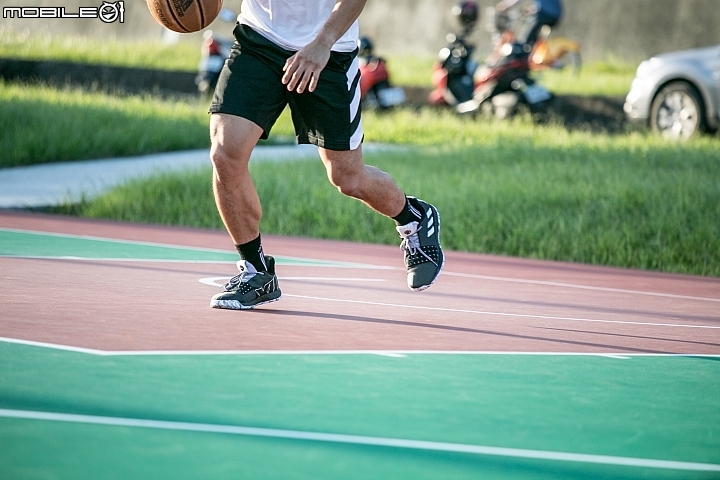 Considering that the outsole material is soft, I recommend it to friends who often play on the wooden floor or plastic field. 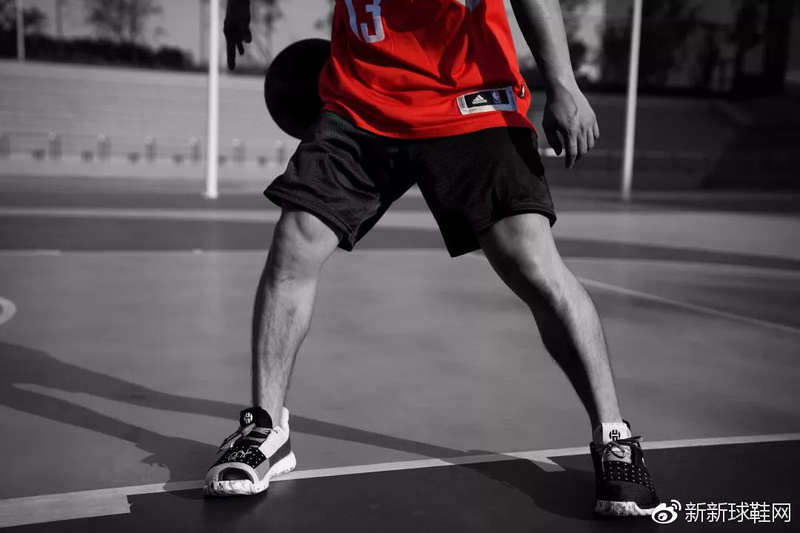 Adidas Harden Vol.3 is look great , but when it comes playing of review. it gives me the feeling of practicality in terms of the sense of place, grip ability and comfortable material . It can be ranked in the top three in the current major brand guard boots. 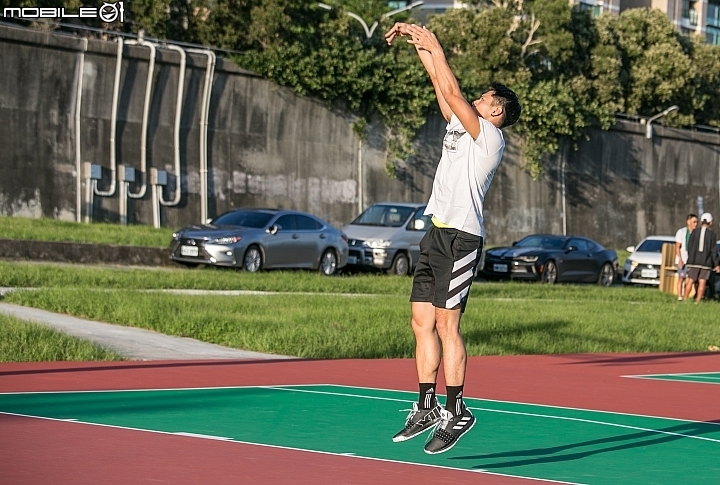 The new season has already started, Houston Rockets who James Harden and Captain Paul got a great scores last year, and now Anthony will be got attention from fans. 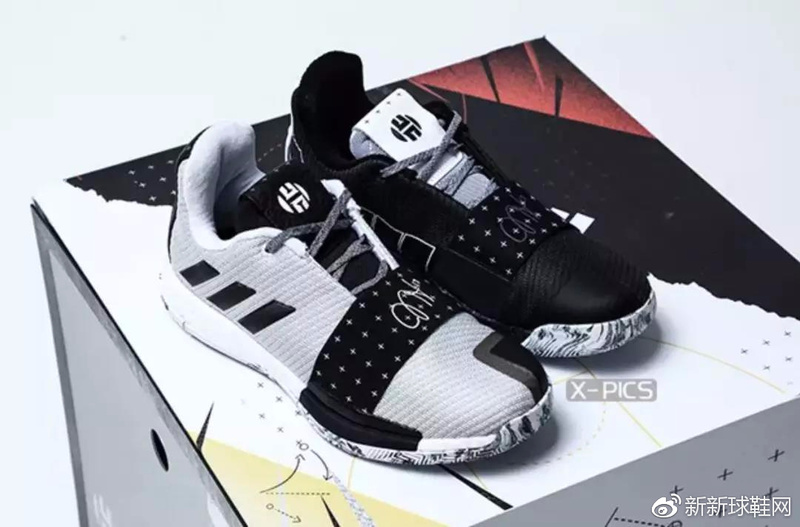 adidas once again collaborated with James Harden to launched the third version of personal signature shoes adidas Harden Vol.3 this season, and then bring the full length Boost boots to us , now we will check the performance today . The previous version of adidas Harden Vol.2 , we also tested before .The adidas Harden Vol.2 performance review. But the adidas Harden Vol.3 has no midsole compared to the last version, so many fans have quite two different opinion. Equipped with full-length Boost cushioning, the Harden Vol. 3 rides atop full-length multi-directional herringbone traction that will be solid rubber on some and translucent on others. 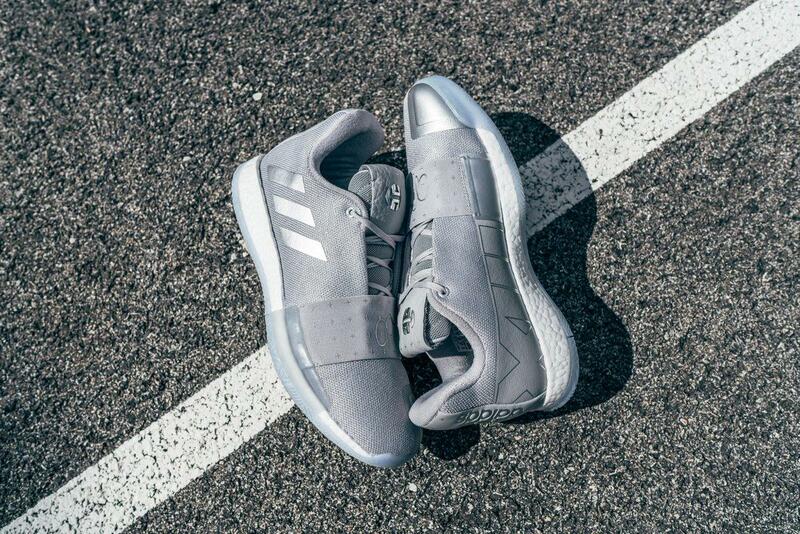 The adidas Harden Vol.3 Boost midsole turned into a thin and light setting, the previous generation of high heel difference setting completely disappeared, so the weight of the whole shoe is greatly reduced, while the foot feels more flexibility,The shoes allowing our feet to change direction and acceleration more smoothly, this setting is suitable for a large number of players. 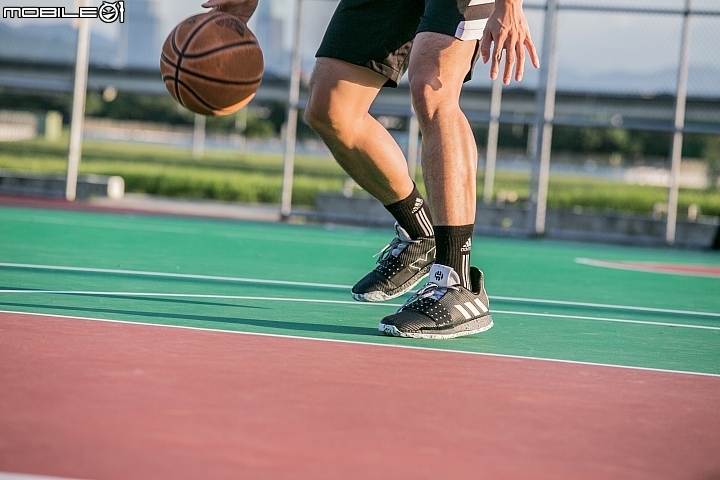 Adidas Harden Vol.3 abandoned the sock types boots which used in last version, it is lower type shoe, although the foot can fit the ankle, but many people like the high type shoes, so they afraid they can not help but feel a bit painful when running around. 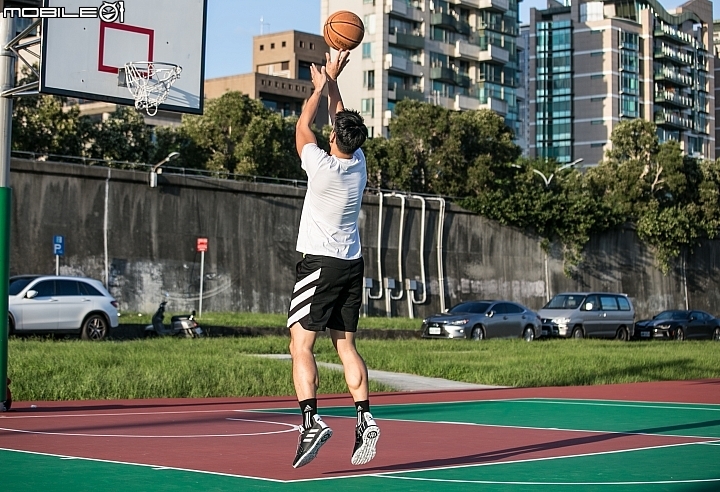 The midsole is more comfortable to wear than the imagination. 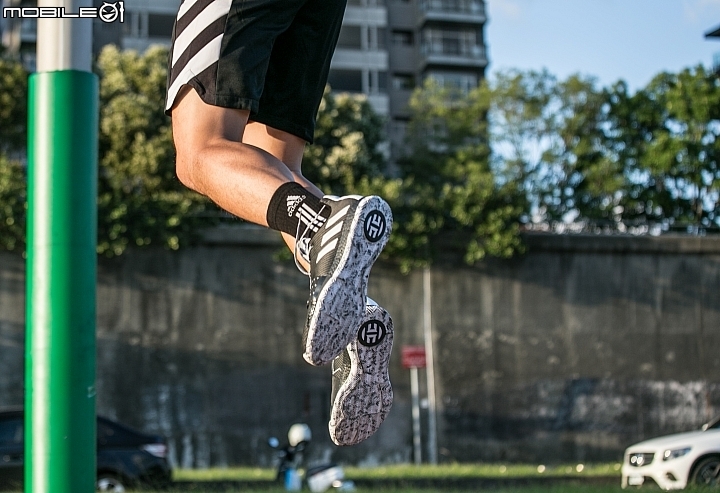 After the boost touch the ground, the feedback is very sensible, so the overall performance is very good. A broad elastic band should help secure the forefoot while the high heel matches adidas’ latest design language. The upper appears to be a mix of mesh and knit with a traditional tongue. The Harden Vol. 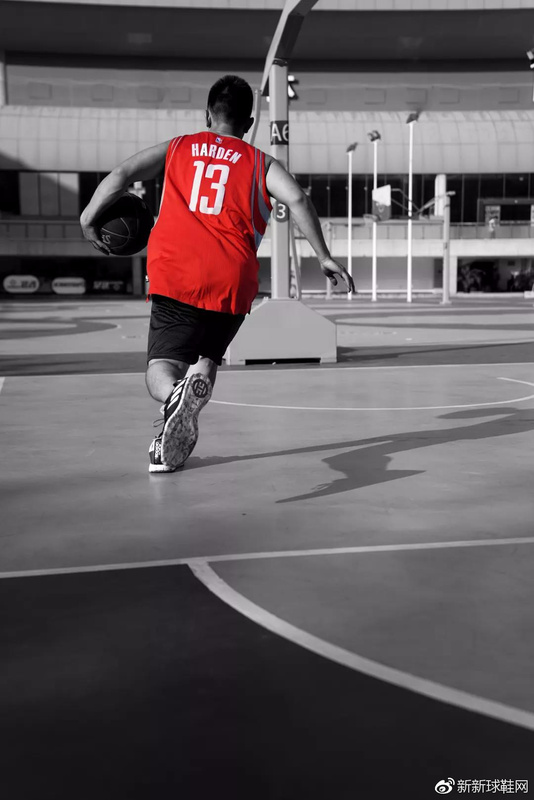 3 makes several references to The Beard’s “lucky” jersey number: 13. His number is emblazoned in Roman numerals on the medial sides of the shoes with “LUCKY” is featured behind the tongue in leather. Adidas Harden Vol.3 feels quite great on the foot, the Harden Vol. 3 rides atop full-length multi-directional herringbone traction in a mix of both translucent and solid rubber. So the cushioning part and the traction are great too. I like this typer very much . 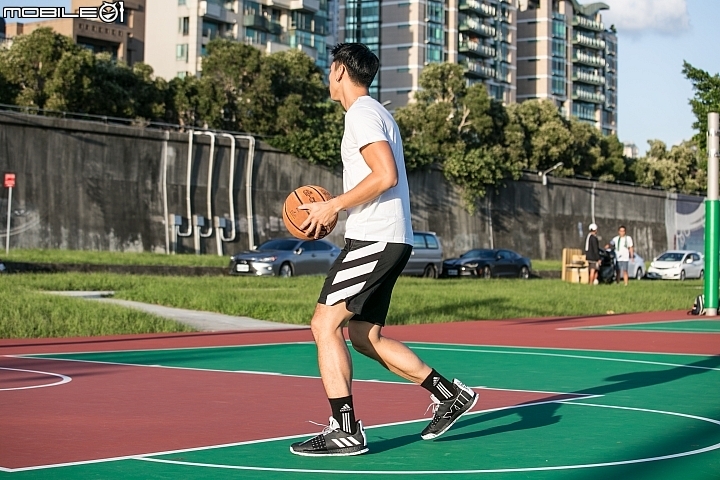 Harden Vol.3 does not used the popular one-piece woven upper design, but it builds the upper with relatively traditional knit material which providing a stable breathability and wrapping performance ,while also the designing of knit material through the forefoot. that is for providing a more tough wrapping , it is giving the two feet a firmer lockdown the feet well . Harden’s recent style has actually changed significantly. 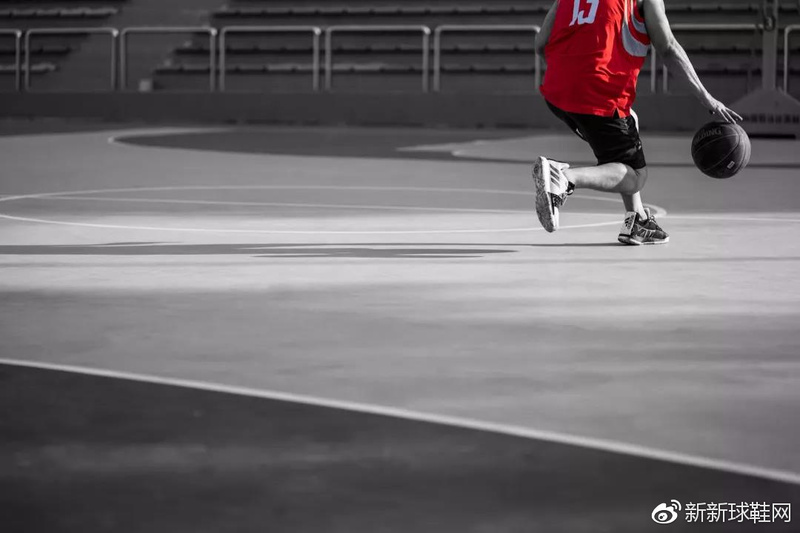 In addition to using time difference and smashing pace, a lot of extraordinary and fake actions to get rid of opponents, Harden attracted opponents on the field effectively. Create a hand space. Therefore, the basic action is the primary test item, except that the author is not a defender. 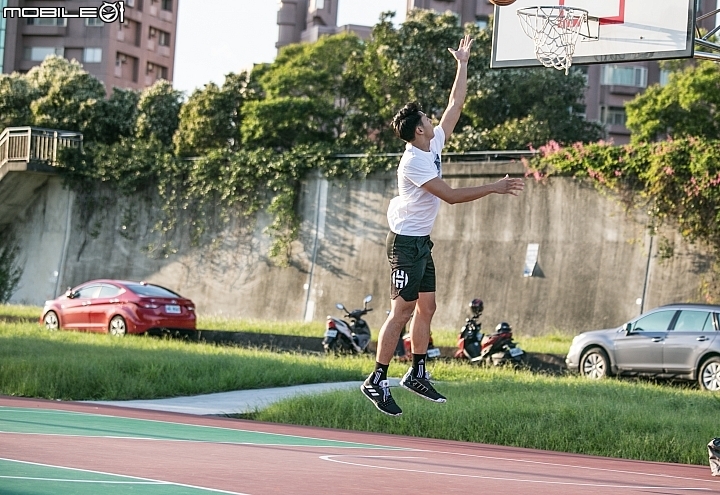 The effective offensive position is a small forward to the center, but the ball is changed, the back step and the jump shot are also commonly used offensive means.So he need more stable of the traction part. 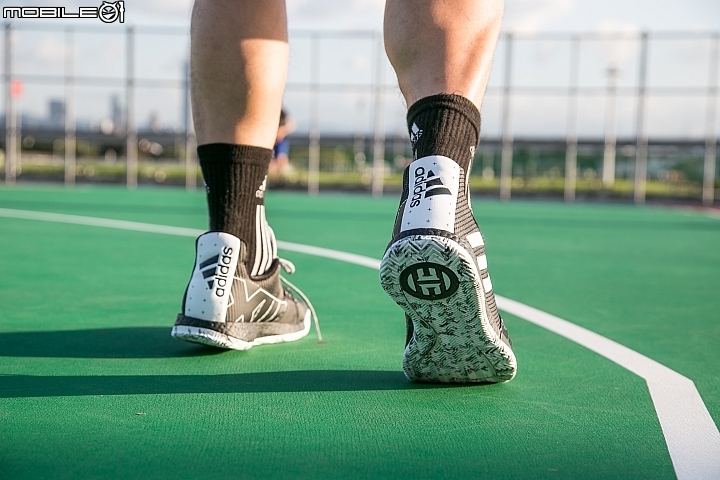 The outsole is designed with a wavy herringbone pattern, which obviously enhances the grip when rushing in, and the front side anti-rollover design, even if the acceleration of sudden acceleration or emergency stop is very stable. The midsole still uses the full-foot BOOST, which continues the energy-rewarding characteristics of the Harden signature series. The forefoot not only adds the strength of the TPU stabilizer to enhance the lateral support, but also adds an elastic webbing design to the upper to fit the feet, providing stable support and protection for the feet in the unpredictable high-intensity competition. Let Harden pursue excellence in the field with more heart and soul. 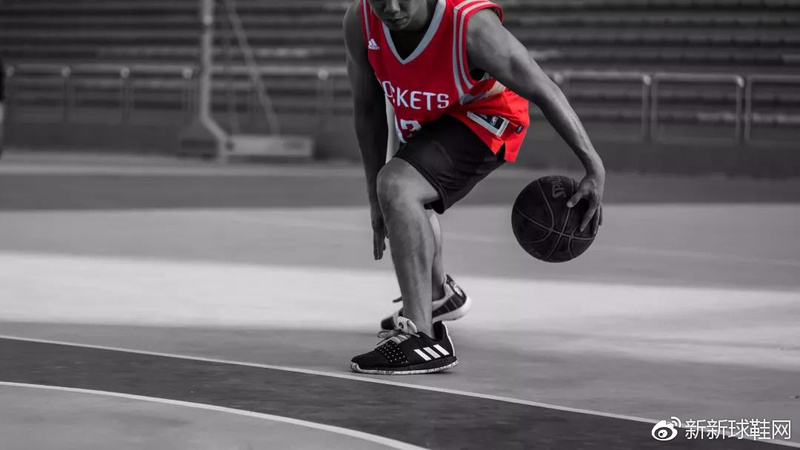 However, the adidas Harden Vol.3, which has a half-thickness in the thickness of the Boost midsole, but performs well, it is not only the responsive is enough , but also has sensitive touchdown feedback in the indoor wooden floor and the outdoor PU ground, and the take-off power is not weakened.That is great. 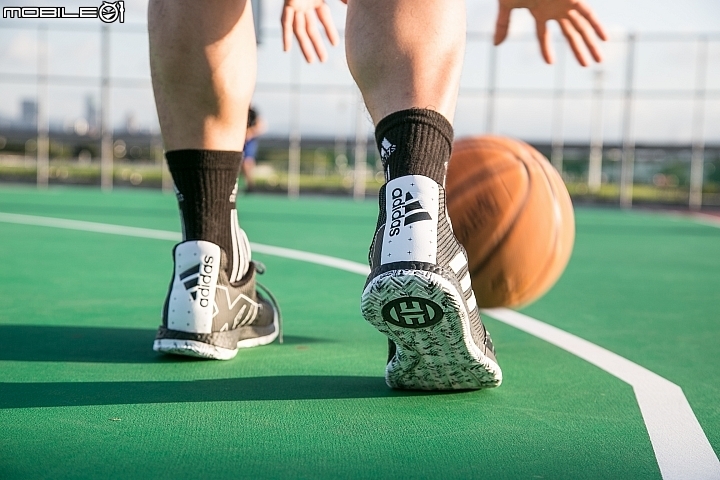 Compared with the previous version of Harden Vol.2, adidas Harden Vol.3 does not continue the outsole of Harden Vol. 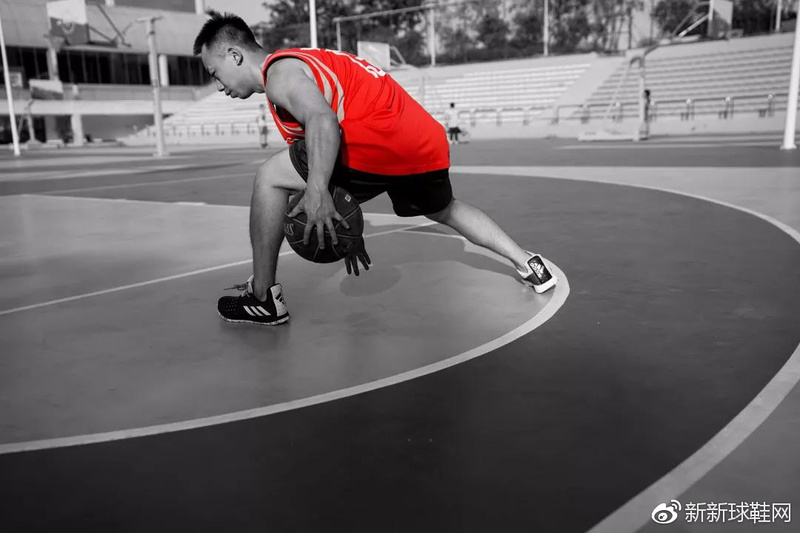 2 , and this is more innovation of the well-received Harden Vol.1, and strengthens the “sticking” and “lightweight” The advantage is to let the foot pressure spread to the whole foot. 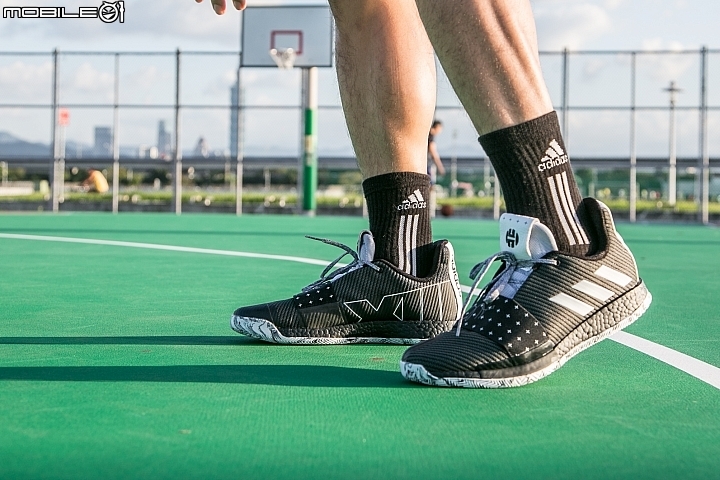 But to be honest: Although the appearance is not my dish, Harden Vol.3’s actual foot feel is really good. In fact, the Euro Step is already a very common offensive method in the NBA today. 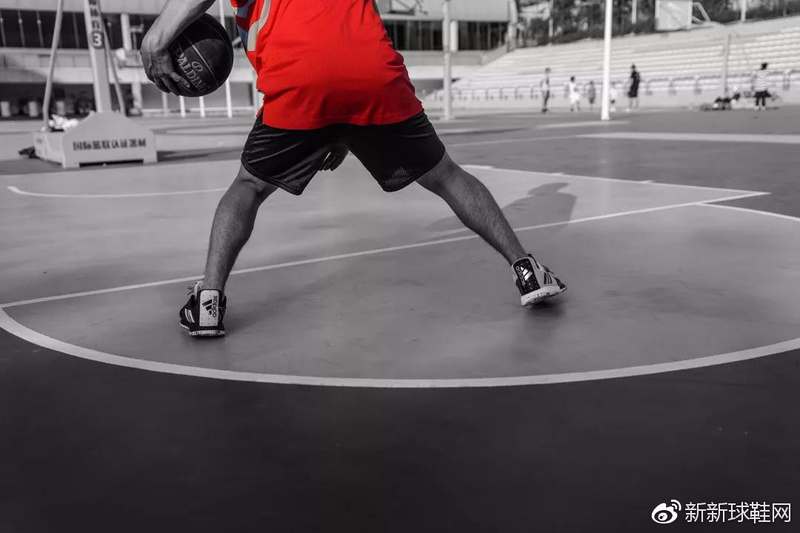 It is not only Harden who uses this skill very often. Even the Greek monsters (Giannis Antetokounmpo) and Kyrie Irving are good at the use of the left and right. The pace caused the defender to lose the defensive focus. 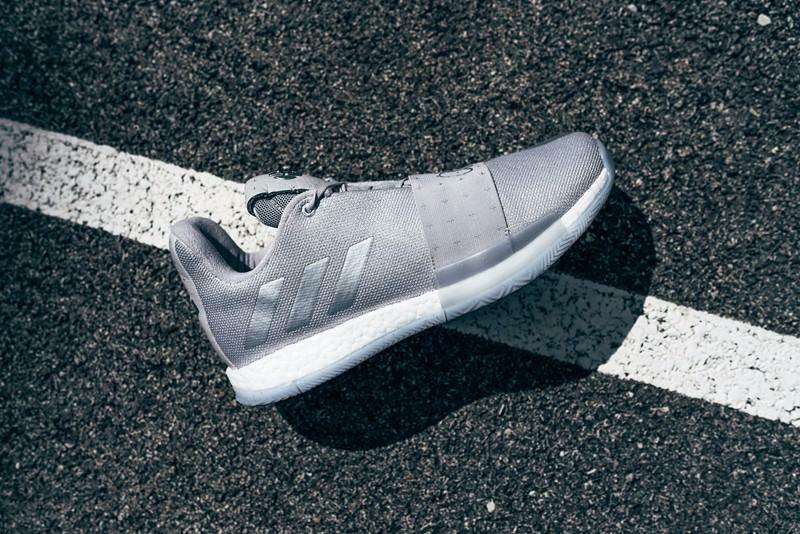 The adidas Harden Vol.3 grip is particularly sensitive, but the ankle and heel locks are still a bit empty, but with the forefoot TPU stabilizer strengthening the lateral support, the instep does not press on the tongue. 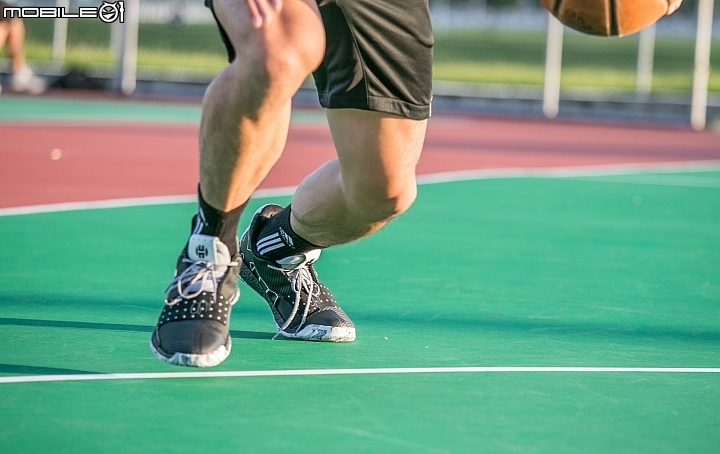 Continuous three or four actual combat, the full foot BOOST midsole is still the highlight of this shoe, I believe that the flat foot ball friends can also successfully control. Harden Vol.3 is constantly improving the Boost midsole and lace covering system to reduce the pressure on the whole foot. 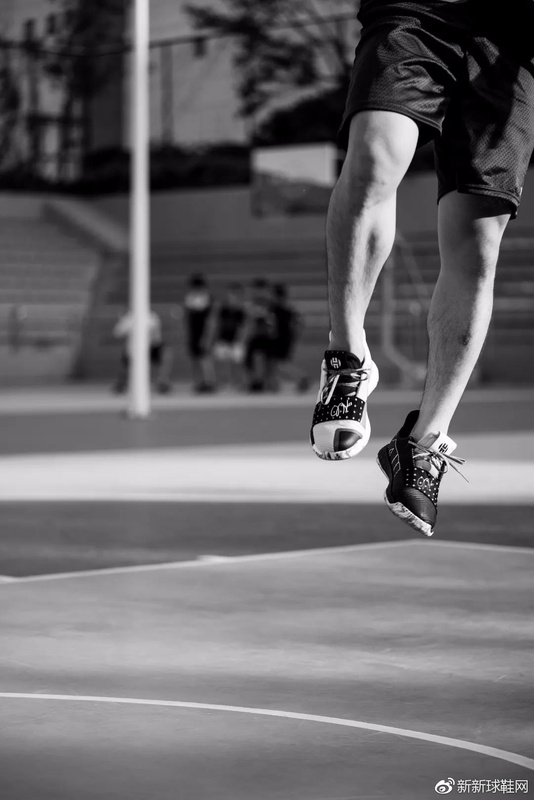 The toes are not injured because of the top to the leading edge. Overall,the new Harden Vol.3 exterior design marks James Harden’s distinctive personal style.And the performance is quite great. With full-length Boost cushioning,A broad elastic band should help secure the forefoot while the high heel matches adidas’ latest design language. The upper appears to be a mix of mesh and knit with a traditional tongue.Every part is perfect .